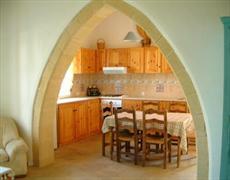 Carmichael Country Cottages, Cyprus, are idyllically situated in the ancient Cypriot village of Bellapais. We offer three beautifully restored villas which are available to let as a single whole resort or as three separate houses. 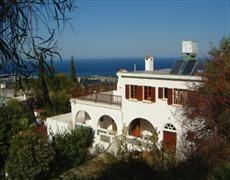 The original Carmichael (Burbidge) family home in Cyprus built in 1964 is the House that Jack Built. 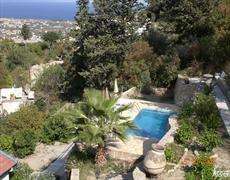 It has true Cypriot character with a well established private garden as well as the use of the shared pool. Above this house, attached yet totally self-contained, one can experience the breathtaking views of the Mountain Villa. Renovated in 2000, Mountain Villa has first rate facilities and has been built in local Cypriot style in keeping with the original 1960’s building and the rest of the ancient village. A short walk through the terraced gardens past the pool takes you to the shady colonial terrace of the Riverside Cottage. Restored and enlarged at the same time as the Mountain Villa it has a unique relaxing atmosphere with high ceilings great views and cool summer arched terraces. Fantastic views coupled with first class self catering facilities, including fully tiled bathrooms and fully fitted kitchens, together with the attractions of the Abbey and village restaurants provide for a truly magical holiday home in a peaceful corner of this delightful living village. The Villas can be rented separately with plenty of privacy and space or as a whole micro-resort for larger groups. Each villa has its own access, plenty of private outdoor living and dining areas as well as the use of the shared pool terrace. If you are looking for a holiday of unique peace in a fascinating living Cypriot heritage village. With such a beautiful climate you need look no further than our corner of upper Bellapais paradise.